Eating and drinking are essential to survival but also to public celebrations and our private family and social lives. These activities have therefore always been important features of art that aims to reflect human life. In scenes from Greek mythology Bacchus, the god of wine, is often shown drunk and his followers celebrated physical abandonment. Drunken behaviour and over-eating were popular subjects too in Netherlandish art of the sixteenth and seventeenth centuries. The tradition of recording everyday scenes continued into Victorian times, although the emphasis was then on more wholesome scenes of sober family life. 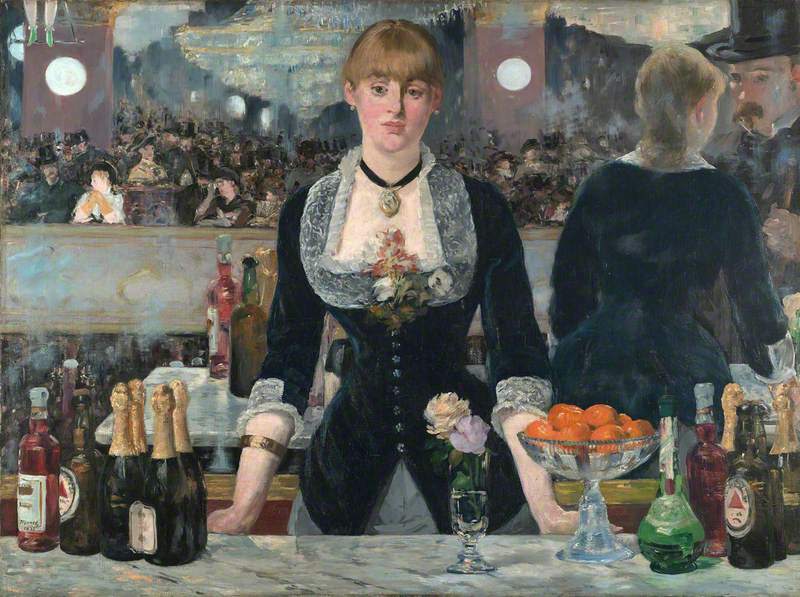 At the end of the century, the Impressionists influenced a more realistic view of bars and cafes, as in Manet’s A Bar at the Folies-Bergère.